Our staff members can compound medicines that are specially tailored to fit your specific needs. Sunray Drugs And Medical offers certain compounding options for specialised drugs for certain patient needs where off the shelf products are not available or suitable due to different dosage requirements. 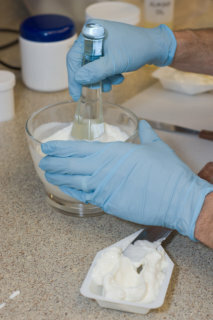 Our staff is trained to make Capsules, Cream, Suppositories as necessary and prescribed by the doctor. Please contact us for more information and to discuss your specific needs. Should you have inquiries about our compounding service, you may give us a call at 732-671-0350 or send us a message online.